A large mossy log, lying prone, begged to be rolled. A small piece of the rotting wood broke away in my hand, revealing the tunnels and chambers and frass of its inhabitants. A bright flash of iridescent green caught my eye; but it was only a small piece of abdominal segment, not a whole animal. A strange thing to find in a log, though, I thought. I briefly wondered what it might be, then returned to the task at hand: a better grip, and one…two…three…roll. 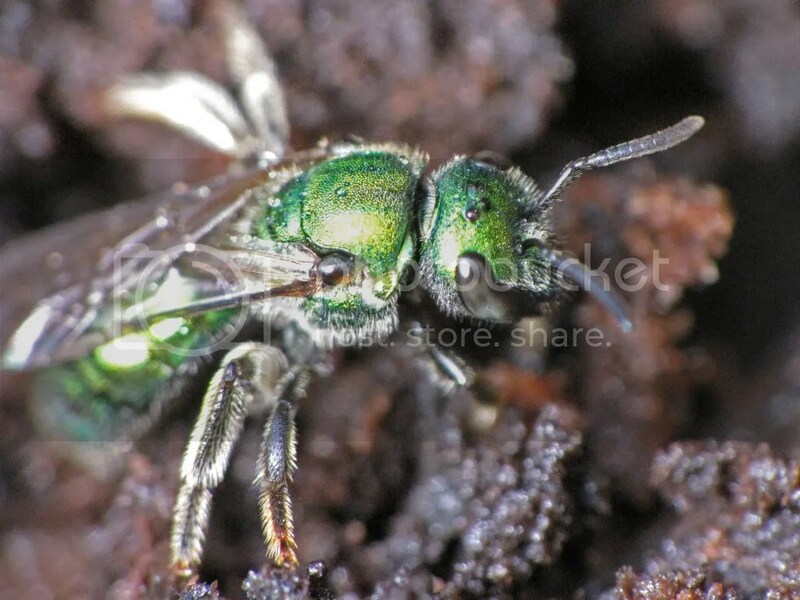 Sweat Bees (Halictidae) are so named because of the affinity of some species to lap persperation off of human skin. 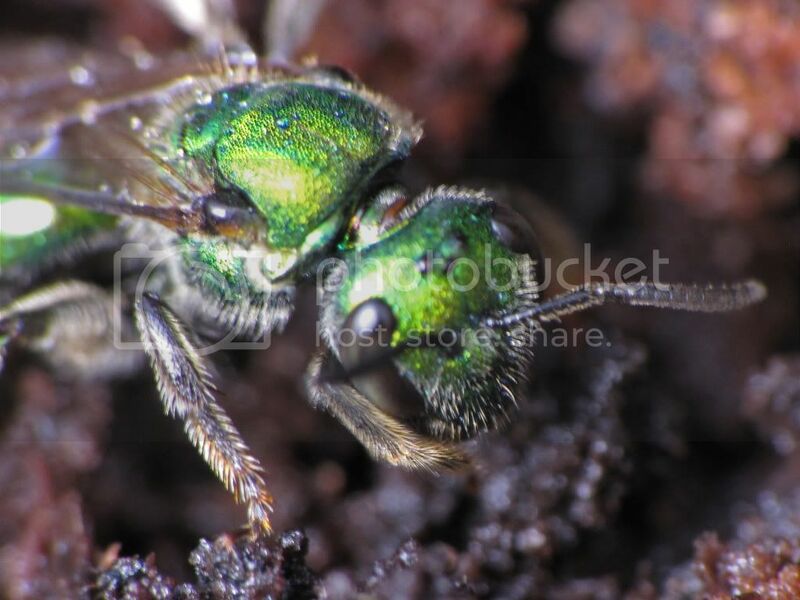 Although many are brownish, some, like this one (Augochlora pura), are vibrant green or blue (especially females), while others boast yellow and black colouration (especially males). They are usually quite docile, but can sting if threatened…although the sting is not much more than a tiny pinch. I was quite surprised to find her here beneath a log…but I have learned that a very few Halictids (including this species) use rotting wood as their nesting sites. Females, like this one, will also overwinter in wood (just like my wife’s recent wasp find). Most Halictids, however, nest in soil. Now there’s an insect which is worthy of an “ahh cute” prefix! She is very cute indeed. Yep, with the Canon and a small clip-on macro lens added on. These are some of my favorite insects, by far. The coloring is spectacular. I too found a few females that had taken up residence in an old Maple Tree stump. I would peel back the bark and almost always find one. Curious little creatures aren’t they? They’re very pretty…that some dwell in logs in a new idea for me…curious indeed. Fantastic shots! She’s quite stunning. I’m glad you decided to see if anything of interest was lurking in the log. OH MY! What an eyeful for such a little critter. How beautiful. 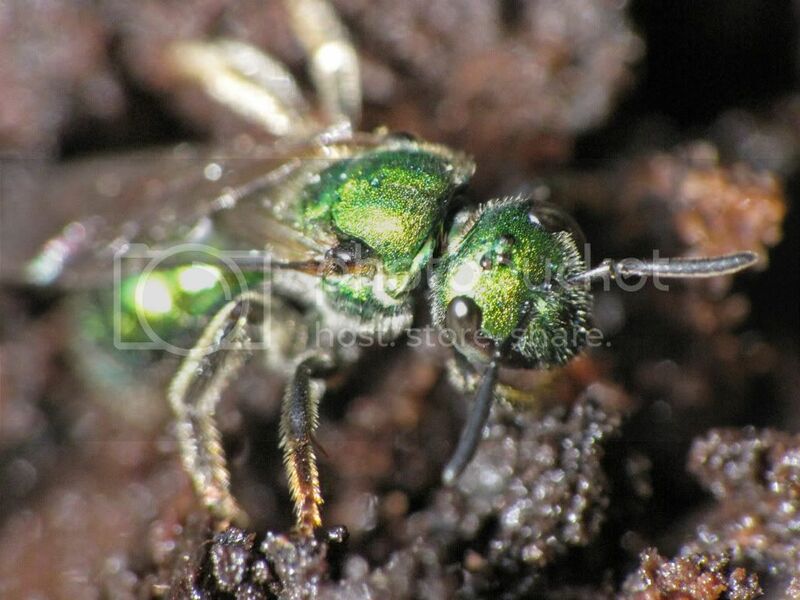 She really is a tiny beauty (the whole animal is only about 5mm tip to tip). 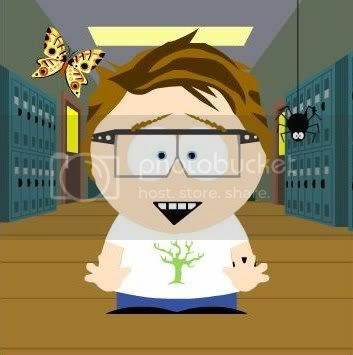 Thanks for stopping by and commenting, Amarilla! Looks like the bird sanctuary was good explorin’! the photos captured are exceptional! I came across these while photographing wild lobelia. Try as I might, with tripod, zoom lens, any setting I could, I have not yet managed such good photos! These move so very fast. They are stunning in emerald!